anymore, not when there are companies out there who are “selling” others things first – relationships, trust, entertainment, information and inspiration. That tiny green guy. 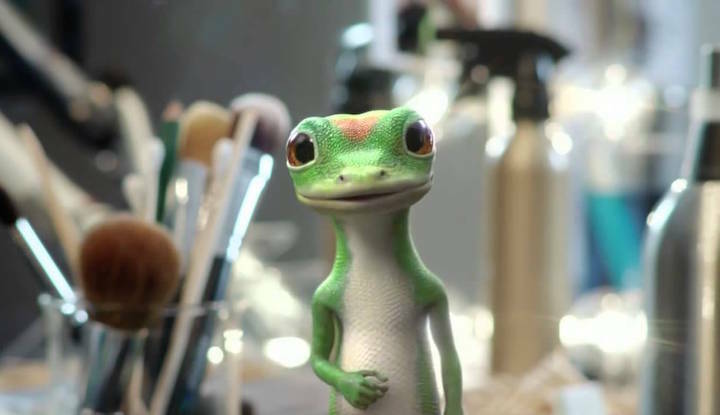 His life is a series of short stories, and everyone now knows GEICO car insurance because of him. The GEICO Gecko, and several other characters created by companies, all have brand stories to tell. GE has the weird, harry “idea” creature that nobody wants at first, until he is nurtured and made beautiful. And we all rooted for the Aflac duck when he broke his wing and needed hospital care. The point of all of these brand stories and the characters behind them is that not until the very end is the product even mentioned. Instead, we watch because of the story. In ancient times, perhaps no one knew poinsettias, that beautiful Christmas plant, were poisonous. Until someone ate one and died, of course. We are all like that child. When we hear a story, rather than just a fact, it makes an impression and we remember. 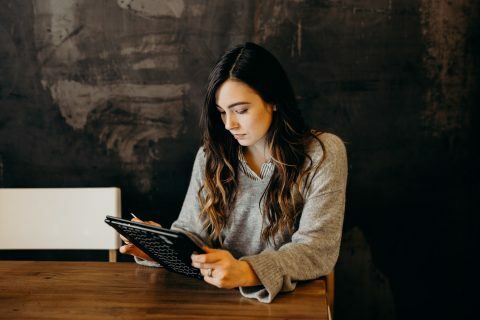 Any time you can use a story to connect people with your brand, you become more memorable. the story of a customer; maybe it’s a story you create. A story can be used in almost any type of marketing content – a “how to” blog post, a case study, even a list driven infographic. Begin with a story. Our brains are wired to automatically tune in. 2. Stories establish a real bond. There are certainly many places for your own stories to be told – on your personal blog, on your “About Us” page, on Facebook, and even on Instagram, with pictures. And if you can share emotions while you tell a story, all the better. same emotions and can totally relate – this is what bonding is all about. The reader and you share something. is that they both support charitable causes. They both tell some really “feel good” stories by way of content – with photos and a small amount of text. ModCloth, a company that sells young adult clothing, features stories of its customers – readers bond with those customers and thus with ModCloth. 3. Stories grab attention and engage. drama to “hook” into your brand. For example, Heinz, the American food processing company, always packaged their ketchup a glass bottle. Then they changed to plastic so customers did not have the experience of dropping the bottle and breaking it, having both a mess and wasted money. But that was not the end of the story. is that people were tired of turning the bottle upside down and having to pound or shake it to get the ketchup down to the spout. bottle could be stored on its head, with the ketchup ready to pour, immediately. or services? Readers love fiction as well as true life stories. Develop a fictional character and start telling his or her stories about existing products and new ones as they are offered. Of course, you may have to improve your writing skills to be more entertaining and creative, or hire a copywriter, but it will be well worth the effort. funny bar stories from its customers and publishes them on its site. It even holds contests for the weirdest bar that its customers have ever been to. huge following just because of these stories. Jack Daniels doesn’t even need to promote its product in these stories. People come for the entertainment. And when they are ready to buy, they choose Jack Daniels. here’s the thing. It costs nothing to do this! 5. Stories drive people to take action. I return to Toms Shoes and Headbands of Hope to clarify this point. Compelling stories can make your audience decide to take action. You may not have stories about providing shoes for kids in underdeveloped parts of the world or little girls with cancer receiving a decorative headband to add femininity to their bald heads. customers to want the same success. quality, and trust that others have in your brand. You can sell all of these things through stories, and you’ll have fun doing it! Julie Ellis is an entrepreneur, editor and the author of over 50 articles on the topic of marketing and self-development. Julie received a master’s degree in journalism and devotes her life to the study of Internet marketing, social media and applied psychology. Follow Julie’s Twitter to find more.